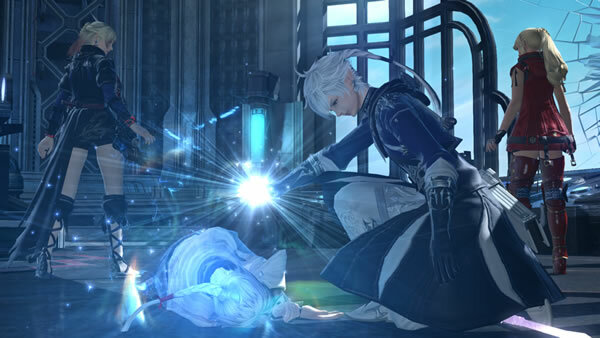 In Final Fantasy XIV, Healers use restorative arts to mend wounded companions. They can also help to mitigate damage, remove detrimental effects, and even bring fallen allies back to life. For beginners, White Mage (or Conjuror when you get it) is the simplest one in terms of how it works, because it doesn't have extra mechanics like cards to think about. It's got heals, and damage. Usually that's the easiest one to start with. It's also the only one that starts at level 1 (Astrologan starts at 30, and Scholar requires getting Arcanist to 30). - Mind, comes naturally on all the shared caster/healer gear and of course healer-specific gear. It affects the potency of your heals and your DPS spells, so get as much of it as you can. Healers care about having good weapons too- try not to slack off on upgrading now and again just because you're not a damage-oriented role. What are the do's and don'ts of your role? - Don't: over-heal to stave off boredom, cast HoTs (Regen, Aspected Benefic) before or during pulls- wait for the tank to stop and tag everything before you start healing in earnest. Besides healing what other things will the group expect from you? - Number one, keep people alive. Do whatever it takes to save people despite their best efforts to kill themselves. - Number two, help out with damage if you're sure you can do so without people dying. You'll get a better feel for when you can DPS safely as you play more. Take it easy at the start and get more comfortable with it as you go along. - Number three, some fights, people will expect you to handle mechanics so DPS can keep hitting the boss, like the second boss of Stone Vigil. Learn what they are and if you aren't sure, don't be afraid to ask. Most people would rather take the time to explain rather than risk wiping and having to start all over again. - Number four, tanks usually pull big. If your gear isn't up to snuff for that say something at the start to prevent tears and salt from wiping. If you're ever feeling overwhelmed doing mechanics, trying to save people, and trying to throw out some damage, just focus on keeping people up. If that means letting someone sit at half health or less for a while then so be it. You're there to keep people alive, not full HP all the time.